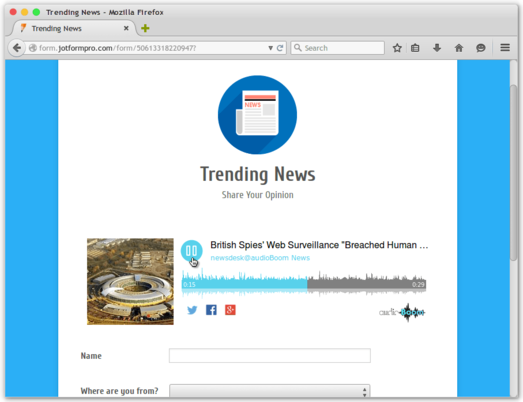 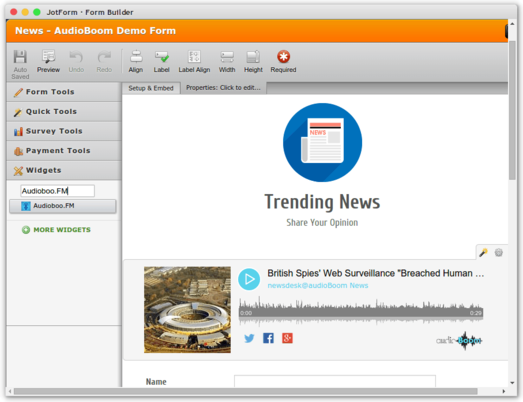 Now you can share your AudioBoom Sound Clips with ease on your form. 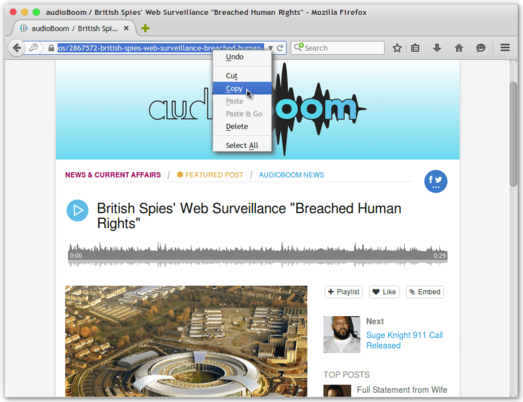 The Audioboo.fm widget powered by AudioBoom makes it incredibly easy to add the sound clip by simply pasting in the AudioBoom URL in the widget settings. 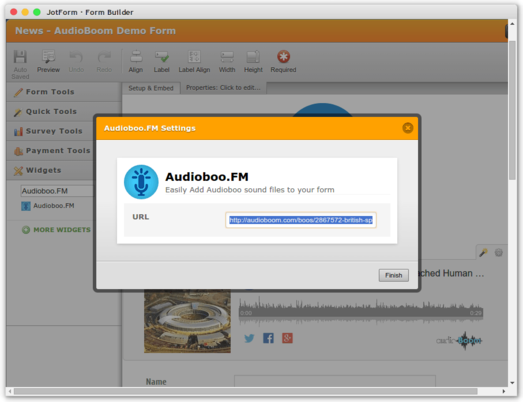 Your form users will be able to easily play, pause and share your sound clip right from your form.